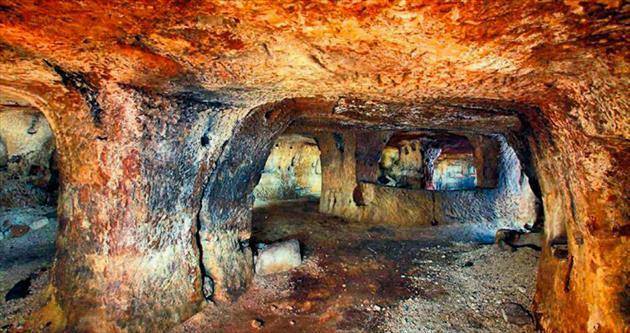 A new underground city in Turkey’s historic region of Cappadocia was accidentally discovered in the central province of Nevşehir. The country’s state-run housing authority, TOKI, halted an urban development project after a large underground city dating back 5,000 years was found during the excavations. 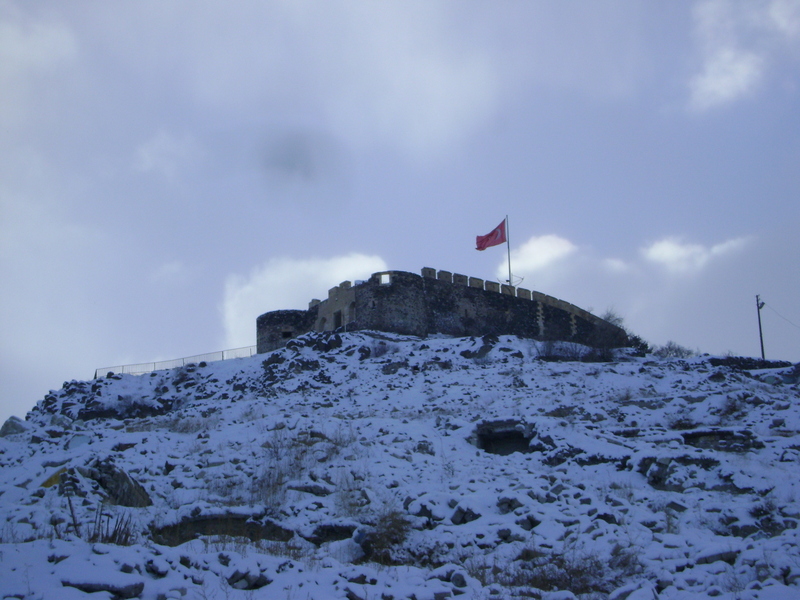 TOKI had just started demolition of houses in 11 neighborhoods around an ancient citadel in central Nevşehir to make way for new housing units to replace crumbling houses when the ancient site was discovered. Officials said a seven-kilometer tunnel with connections to underground living spaces was found in the area, which was placed under preservation after the discovery. TOKI officials said the planned housing units will be built somewhere else while experts started examining the archaeologically important site. 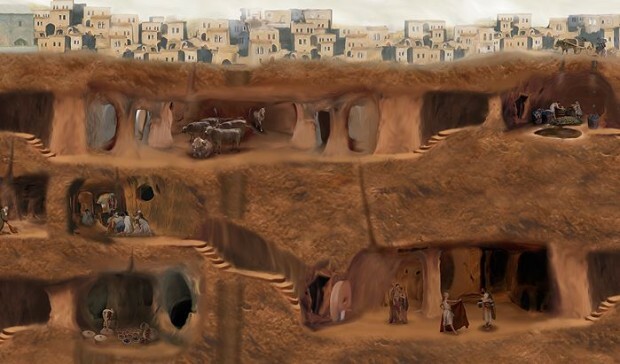 Nevşehir Mayor Hasan Ünver said the underground city was the “largest” in the world and covered an area of about 400,000 square meters. “It has a seven-kilometer road dotted with churches, galleries and other structures. 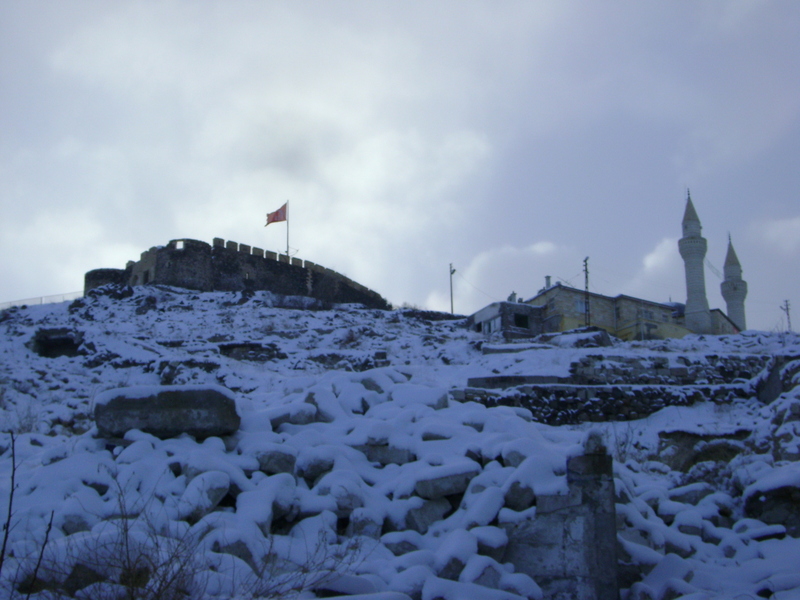 It is estimated that the city dates back to the era of the Hittites, similar to other underground cities in Nevşehir. We are now working to make it open for visitors. We will build walking platforms inside and a large park will be built on the surface,” he said. Nevşehir, located at the heart of Cappadocia, which now covers several central cities, is home to countless subterranean settlements of different sizes. The largest of them is in Derinkuyu district with a depth of approximately 60 meters – equal to an eight-floor building – and big enough to accommodate nearly 20,000 people. Although they date back to the pre-Christianity era, they were mostly inhabited in the Byzantine period when frequent invasions by foreign forces forced locals to hide in underground cities with an intricate tunnel system. 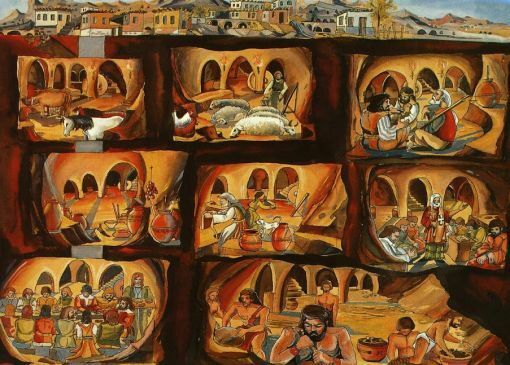 The cities, including the newly discovered one in central Nevşehir, host several facilities including churches, wine cellars and food storage, livestock stalls as well as schools.